These Bidder Terms and Conditions apply to the Auction for the sale of real property location Parcel: 010-043952-00 Address: 292 N Harris Ave. Columbus, OH 43204. This auction will be conducted by Schillig Estates And Auctions with Coldwell Banker King Thompson (Broker) 175 S Third St. Columbus, OH 43215 (“Auctioneer”). These terms constitute a legal, valid, binding, and enforceable contract between Auctioneer and each Participant, Bidder, Buyer and/or attendee at the Auction. 5. Buyer's Premium. The Property is offered subject to a 10% Buyer Premium of high bid or $5000 (five thousand dollars) whichever greater, which will be paid by the Buyer to Auctioneer/Coldwell Banker King Thompson Trust. The Buyer's Premium will be added to the Hammer Price to determine the final Purchase Price of the Property and will be collected at closing. 15. (b) Brokers representing a Bidder must submit Agency and signed RPD & Lead and be received on or before 48 hr. prior to the start of auction closing (April 28, 2019 7pm EST) DEADLINE, NO EXCEPTIONS. EMAIL TO: CindiSchillig@gmail.com. Bidder must not have had any contact with Auctioneer or Coldwell Banker KING THOMPSON prior to auction. Broker/Agent must always be present at all times including Open House events to qualify for 2% Co-Op of Hammer Price. Online Bidders are required, for registration purposes to register with Full name, address,Phn #, Email and a valid credit card for verification of identity. The card will be processed by a third party for $5000.00 and immediately reversed. The Auctioneer does not hold deposits on credit cards and ,has no access to that information. 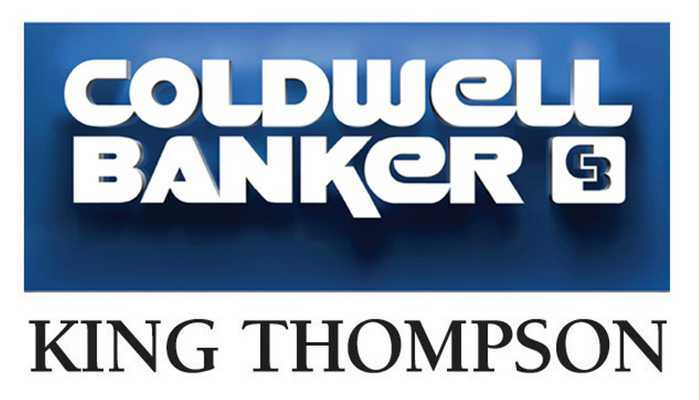 The Winning bidder] after completion of the Auction, agrees to deposit $5000 (five thousand dollars) via a wire transfer to Coldwell Banker King Thompson Escrow (non interest bearing) account by 5pm the following day (May 1, 2019). Wire instructions are attached in Documents section. The final contract is subject to Seller’s confirmation and acceptance. On a case-by-case basis, Auctioneer may accept bidders to participate in the auction if all requirements set forth herein are not satisfied. I understand that a 10% of high bid or $5000.00 (five thousand dollars) whichever greater will determine the Buyer’s Premium that will be added to the highest accepted bid to reflect the Total Contract and Purchase Price. I also understand that the Buyer's Premium is an amount calculated as a percentage of the Hammer Price, that is payable by the Buyer to the Auctioneer through Coldwell Banker KING THOMPSON Trust account for the Auctioneer's own account. I understand that, if I am the winning accepted Bidder, I shall close and complete settlement on the Property on or before May 10, 2019 If I, as Buyer, delay closing I will charged $100 (one hundred dollars) per calendar day. I, as Buyer, understand that I will be responsible for all related closing costs. Closing will be through Associates Title Inc. I have been advised If I default and do not complete settlement I hereby acknowledge that I have read and understand the Default paragraph of both the "Terms and Conditions" package and the Purchase Agreement; and acknowledge that my full deposit shall be forfeited to the Auctioneer, and that I will be liable for any and all other damages and expenses in relisting or selling the Property, along with the amount of any shortfall at a subsequent sale.